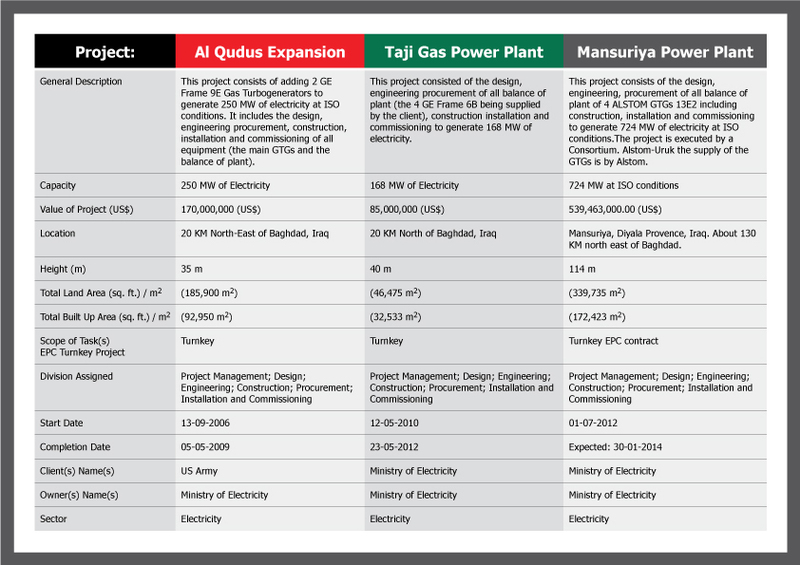 Uruk’s senior management have been involved in Iraq’s most important energy projects of the last three decades, including the nation’s nuclear program and electricity plant construction and rehabilitation. The team have participated either on a turnkey engineering contract, as project or construction managers, or simply procurement and manpower specialists. Uruk completed a major power project, the rehabilitation of the Baiji Thermal Power Plant, in May 2004 for Bechtel International. 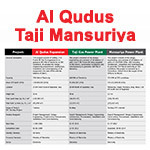 In 2007 the company and its JV partner were awarded the ‘Al Qudus’ refurbishment and expansion project consisting of design, engineering, supply, construction, erection, and commissioning of 2 GT Frame 9E units to generate an extra 250 Mega watts.